For those that feel depressed or anxious, Maca helps by elevating the mood. Highly recommend this to women battling hormonal imbalances, lethargy and physical and mental stress. The smoothness of this versatile product is superior to others on the market. Love the flavour and have noticed the quality of sleep I get since taking maca powder has improved; not needing Melatonin. Overall am very pleased with my increased energy level. The service is most satisfactory as well. I use this brand of Maca every day in my morning smoothie. It had a lovely flavour and when mixed with cacao gives a great milk chocolate flavour. Research published in 2009 measured cycling improvements in athletes over a 14 day period of taking Maca. The researchers concluded that Maca “supplementation improved 40 km cycling time trial performance” (Stone, Ibarra, et al. 2009 – full journal article). 100% Certified Organic Peruvian Maca Powder. 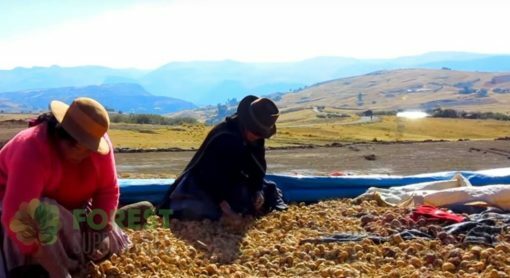 Our Organic Maca Powder comes from Junin, Peru and is raw and unprocessed. Delivery was prompt, the product is well priced and the taste is great! Maca helps with my wellbeing and I’m sleeping better. Have slept much better and feel more energetic since using this product. Thanks again for the quick service. Great quality product, speedy delivery. Thank you! Too early to comment on the value of the actual product really. However excellent service. I sprinkle it on my yoghurt with the camu camu and cacoa and blueberries. 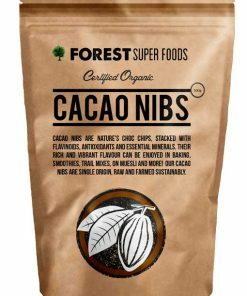 The taste is great when mixed with cacao and it seems to have helped with my hormonal issues after only using for a week! Great taste and health benefit! Fantastic customer service and fast delivery. I’m only 1 week into taking Maca Powder but I’m happy with product. My orders always arrive within two days of me ordering, Forest Foods Maca tastes great and is now a staple in my diet. By far the best quality out there. I have recently recommended my cousin to try this since she has been wanting to improve her lifestyle and eat healthier food. I’ve been struggling through menopause and have tried lots of different natural products to help with hot flushes but with no real success. Within 2 weeks of taking your Maca powder the hot flushes have gone and I’m sleeping again. It’s a miracle…great product and fast and efficient service. Thank you…thank you…thank you !!!! The other reviewers must have different ideas to me on what tastes good. This stuff tastes awful. I tried it with milk , yoghurt and fruit smoothies. There is nothing pleasant to me about Black Maca. It would want to have great health benefits to make me want to continue eating this stuff. I”m not sure how long it take to feel the health benefits but nothing so far. I ordered my products in the morning and I received a box next day. Excellent customer service , cannot think better than that ! Very satisfied with my products ! I ordered my yellow Maca and was amazed when it arrived the very next day when I live 2 hours south of Perth in Western Australia. The taste of it is not particularly pleasant but then it is not awful either. It just takes a little adjusting to. I mainly ordered it to help with hot flushes and to give me more energy. I’ve only been taking it for 3 weeks so it may well be too early to fairly judge it. My hot flushes have lessoned a little in intensity but have certainly not gone. However, I’m no longer getting bothered by them at night which was a big issue before. I’m now sleeping so much better that possibly I sleep right through them – who knows. I’m very impressed with the effect the Maca is having on my quality of sleep – I don’t wake up nearly as much as I used to even when I was taking pharmaceutical hormone replacement tablets (and thereby not having hot flushes at that time). Also, I no longer wake up each morning with aches in my hips. I used to always wake about 4:30 a.m. and I would find it impossible to be comfortable in bed because of my hips aching. Also, a sharp twinge I used to get in my right knee when climbing stairs and exercising has gone. It is hard to explain but I now have a sense of general well-being/happiness. I wasn’t unhappy before but there is just this sense of being happily grounded. I shall continue on with the Maca and will see what else improves. Hopefully in a few more weeks my hot flushes will be gone. I found the Black Maca more palatable than other varieties. The effect for energy and concentration is immediate. Going strong at the end of the day! Totally recommend just step up the dose to suit your needs. I put in smoothies and coffee with honey. 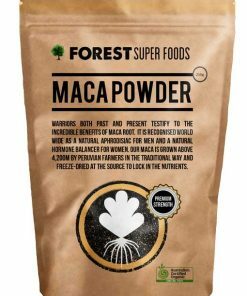 I love forest superfoods maca powder, i order it every time. Maca Powder has always been a part of my daily diet for it’s health benefits. This product is of high quality and is by far the best Maca powder I have tried. I would like to thank you for 2 day delivery also the Organic Maca Powder is really good and the Organic Hemp powder is very good also my second order. Very happy and will order more when I run out. great tasting product with super fast delivery. After taking Maca powder for a month I feel that I have a lot more energy & endurance. I will be buying more of this, this is a quality product and pleased with the free and fast shipping deal, never failed to satisfy, i’m a repeat customer, thanks. I recently gave up coffee and my husband and I both feel this gives a better boost than caffeine, without the jittery side-effects! Great service, fast delivery, thank-you!!! High quality, great taste and speedy delivery. Will be buying more from forest superfoods. Super fast shipping and high quality products. Will definitely be purchasing more from forest superfoods! Excellent product and fast shipping. Will order again. Delivered fast and fresh. The product looks and smells fresh. 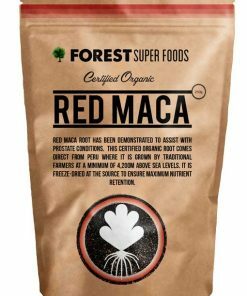 Whether the maca root works is another thing but I am happy with the service and would buy again from forests superfoods. Very energised using this everyday. Husband feels very clear headed and full of energy. Once again super fast delivery. I received my parcel thank you, on Tuesday, after ordering on a Friday. I live on a rural property out of town and picked it up from the post office. I returned home and immediately sampled both products, hemp protein powder and Macca powder and continue to consume each day. I am very happy with both products. It is the first time I have tried your products. The brands I had tried from the local health food store were out of stock and I was looking to try other brands anyway as the two products were just not good quality and I was thinking I would never find good quality again. I have previously worked in the health industry and for a hemp food company and know the difference between the real thing and poor quality. So, thank you, thank you, for providing quality products that are truly from their stated origin. It restores my faith that there are companies providing true products. I will recommend your website to friends and family. I really like the products, Maca & Super Greens. The Maca especially has really helped me with all the hormone changes etc. It actually does what it says it will do! 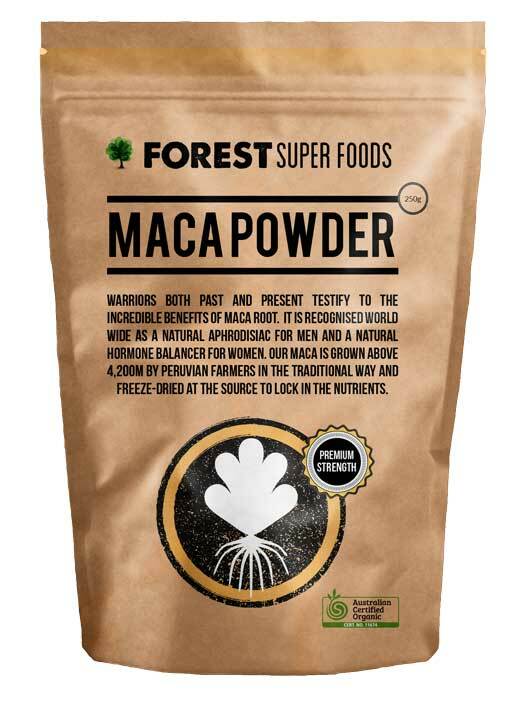 I love the Maca that Forest Super Foods sell. It actually does what it says it will do, which is a testament to the quality of the product. I have and will continue to purchase this from Forest. Thanks team! I’ve tried other Maca powders and numerous face washes to try and tame my once crazy hormones and rid myself of hormonal acne. This is the only powder I’ve tried that actually works! I’ve been adding this to my morning shake for a month and a half now, and my skin has never been better! So clear and smooth 🙂 I take 1 teaspoon of Maca, 1 of the cacao powder and 1 of the super greens in some unsweetened almond coconut milk. It definitely doesn’t taste amazing to me, but I know it’s good for me so I just chug it down! Great quality at a great price, thank you!! I have been buying maca powder for the last two years. The delivery is almost the next day after ordering which is unique. I have been taking the Maca powder in smoothies for sexual health and libido enhancement. Amazing difference…have been using this product for 3 weeks and it has given me a real boost of energy. It has calmed my nerves and also helped with my mild anxiety. Mix it in my milk and it tastes great. Love this product. Will definitely buy this again. Delivery was so quick! Great product. Its efficacy with hormonal, and just good well being is great. Texture, taste and freshness of this Maca is amazing. Great product has helped ease the frequency and intensity of my hot flushes, feeling heaps better. Having bought Super greens from Forest foods and being very happy with it I needed to re-order so thought I would try something else also. I have had Maca years ago and wasn’t a pleasant experience but having read the reviews here about the quality of the product I ordered some. Very happy with it, felt a bit of an energy buzz and general good feeling within a few days. Great product. It has been 2weeks seen I started. I mixed the Maca powder with oatmeal every morning, it Tastes really good. Hope to see more benefits with continuous used! The Maca is really good in smoothies, seems better quality than another brand I’ve used. Very happy with the Maca powder, my job is very physical and I get sore and tired by the end of the day. Using the maca powder in my meals, it has helped me have a lot more energy and not feeling as much pain as I did before, thank you so much for this great product. Love this product, has helped with my menopause symptoms. Extra fast delivery, excellent service. It would be helpful though, to have some idea of how much to use daily as a guidance. Ordering Maca through Forest foods was quick, and efficient. Good tracking advice kept me informedown about delivery. The MaCA 500g pack proved to be high quality and quite competitively priced. Well done Forest Foods. Thank you this is exactly what I was looking for, very good!! I notice the difference in my energy and my menopausal symptoms are relieved. Excellent service and fast delivery. My wife and I have been tak Macca every morning for about two years (substituted for our morning coffee). Its a great energy booster and has greatly improved my cognitive skills. My wife finds it particularly beneficial to help relieve her Menopausal symptoms. Great service and prompt delivery from Forest Superfoods! I was using another powder, but could instantly see the quality of Forest SF Maca. It looks and tastes more true to source. Everyone says it takes a while for Maca’s increased energy to kick it – I noticed it the next day! Love it, have only been using for two weeks but already feeling the benifits. Also arrived within two days of ordering! After a week of use you will notice energy improves. The taste needs to be acquired. May try the Red Maca if available. Service/delivery best on the Net. We are really satisfied with everything connected to this product. Delivery was prompt, the quality of Maca was extraordinary. Perfect purchase. P.S Service was fantastic, even received a follow up email after receiving my products so promptly, just to see how I was finding the products. Love my Macca powder. Just started using this one and find the consistency a lot smoother than others I have used. Service and delivery amazing as well, even over the Christmas period. Will be buying again. Quick service and excellence product. This is great maca powder.I was buying the loving earth one but it was out of stock for ages and then the prices went right up! I took a chance on this one and it all seems good. Still controlling my hot flushes just fine. Very fast delivery and good price, thanks! The Maca powder seems to helping with my moods etc. I bought this for my partner who has it on his cereal every morning. We ran out and he immediately felt the difference in his energy levels. I picked some up in a supermarket and it unfortunately gave him the runs. 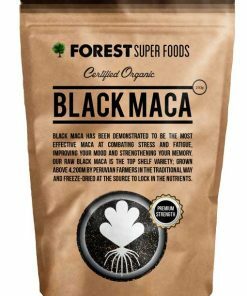 I have now stocked up with Forest Organic Maca Powder again so his energy levels can continue to run high for his very busy and long working days. 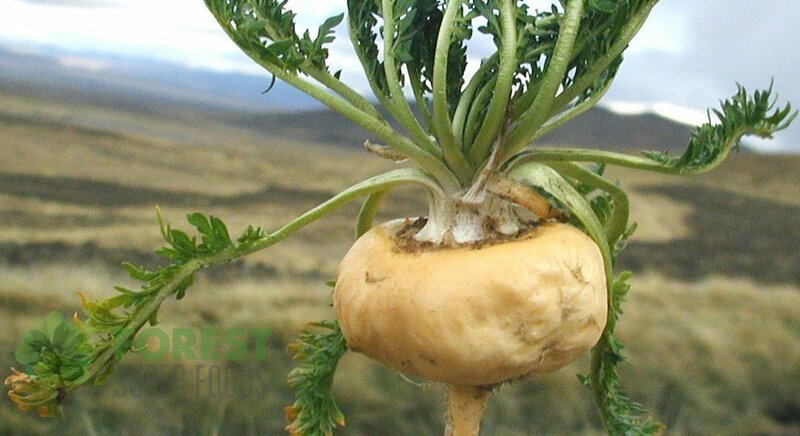 Great quality Maca, it is uplifting and helpful with menopause symptoms. First time user and ready to buy some more. My husband and I both feel more energised since taking the Maca powder. We mix it through our yoghurt every morning to give us a boost of energy for the day. Amazing product, fast delivery, have used Maca for 2 years now and this would have to be the best grade Maca powder I have had!! Will continue to purchase, and will try some of there other products.. Both myself and my husband are taking Maca Powder and so far so good. Feeling better then I have in ages. Great to have such speedy delivery also! I ordered this product because I have read about its positive effects on human´s body. We started to use it every day with my wife and we are both very happy right now. We are also very satisfied with service provided. Thank you. I am also feeling much happier, as, I can once more, do all the things I love doing throughout my day, I feel a great sense of achievement once again! I will be taking maca powder for the rest of my life! Thankyou for your wonderful product! Also, I would like to add that your maca powder is very for me, as I am on a low income. All I can say is, maca is amazing in the way it makes me feel! My reorder will be with “Forest” Super Foods! The maca powder and the hemp protein I had ordered are excellent quality, in fact, the best I have found so far. Re-ordering soon! My first time ordering from Forest Super Foods and I’m very pleased with my purchase. Excellent service and excellent products. Thank you and I look forward to doing business again with you. This is my first time ordering with Forest Super Foods, and would like to say my product was delivered quick. Having used Maca Powder for the last 3 years, i can honestly say this tastes much better than the previous Maca i have purchased. Will definitely purchase again from Forest Super Foods. Fantastic two days for my order to arrive. Very professional company to deal with. True to your word delivery was received in 2 business days. Maca powder is great tasting & readily available. I previously purchased from local heath food store but Maca powder was often not available. This was my first time ordering from Forest Super Foods. A Fast and efficient service that delivered within 2-3 days. I am extremely happy with the product and already feeling the positive results with so much more energy. I have tried other leading brands of Maca Powder and this is certainly the best that I have taken. It has a more intense aroma and flavor than the other leading brands and this is I’m sure due to the outstanding quality of the Forest Super Foods Maca Powder. I will certainly re-order again and again. Excellent customer service super fast delivery. it works fantastic! I used to feel stressed easily and low in stamina. however after taking that for a few days u feel more energetic! my partner says I got less mood swing than before. I’m glad this company get it from Peru cause the other ones on the market dont taste the same as this! 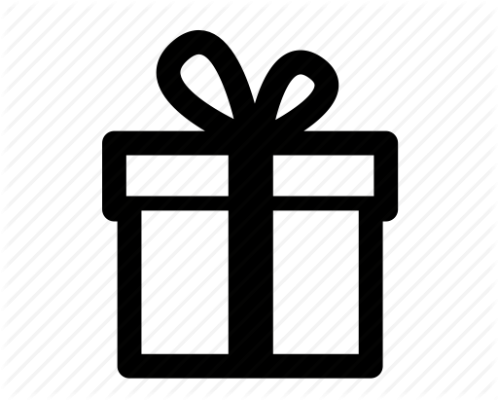 Product as described, very fast delivery and good packaging with product well protected from the courier delivery. Overall excellent buying experience, will definitely return. Great tasting product, quick delivery and terrific customer service. Thanks. Awesome product,superb service,highly recommend!Thanks guys,i will most certainly be ordering more products from you in the near future. We use Forest Super Foods Maca Powder in many of our smoothies at our smoothie shop. It is without parallel and our customers are hooked! If we happen to run out, Forest Super Foods service and delivery are swift and cannot be faulted in any way. Thank you for the product, it came very promptly. I am happy with the product, but as I have not had it before I cannot compare. If it does the job as intended I would be very pleased! But thank you for your great service. I am totally impressed with your company and your products and the speed in which they are delivered. the products of yours that I am using are truly helping me out as I near 50 and boy do I find it amazing how much of a new lease on life they have helped me get both physically and mentally. Delivery was extremely fast. The packaging is fantastic. Smells and tastes great with cereal every morning. Love the nutty flavour, not overpowering at all. 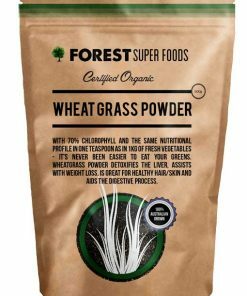 ForestSuperFoods – excellent service, great product – very satisfied first time customer. Will be back for more. Many thanks. This is honestly the best tasting Maca powder I’ve ever tried!!! 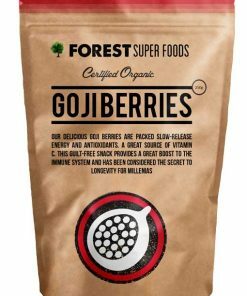 Loving the super quick postage Forest Superfoods provides as well. Couldn’t be happier!! I high recommend you try it if you haven’t already – you won’t be disappointed!!!! Great product, fresh, great price and the best delivery I’ve experienced! Highly recommend ! Quality product, rapid delivery, exc communication, great follow up service. My extended family all report that their energy levels have increased and are more than happy with this superfood! great tasting, fresh Maca powder! I had a bit left from another company and must say, yours is better! Fantastic product! I use my Maca everyday in my smoothy and or tea. Super fast delivery and ALL your products are amazing. Thank you. Well, we were over the moon with the super fast arrival of the Maca. One bag was for myself, and the other for my brother. He finds the taste somewhat strong and nutty, and I find it DELICIOUS! I find the flavor very subtle for Maca. I purchased your product, as it seems to be of great quality. I have read quite a bit on Maca, and it seems the color has a lot to do with the quality? So far I am very impressed with the product. Im satisfied with this great product and i recommend other people try it! The Maca is great and you guys have the best website! 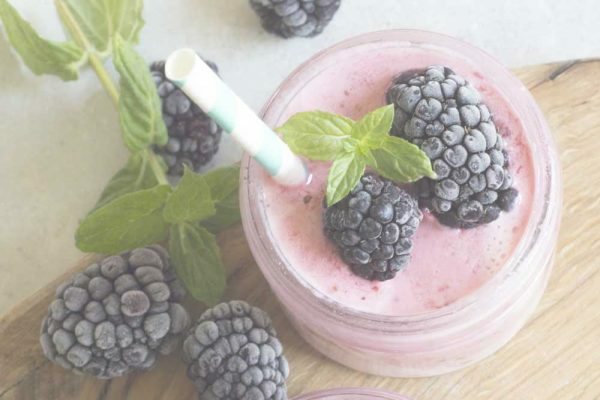 After starting my day with a macca vegetable fruit shake for a couple of weeks now, I can truly say it transforms your shake into a health bomb. I feel sharper, more focused and energetic than ever before. So glad I tried this product!!! The mecca powder is very authentic and I like the taste of it. I am enjoying it every morning with breakfast and will definitely recommend it to my friends. And the shipping is lightning fast as well. You guys have done a great job! I just purchased this product and it seems to be less potent than the order I did previously with Biovea. I wanted to save some money on this purchase and think that it might not have been worth the savings. Brilliant product! Has completely regulated my hormones! I have suffered from irregular cycles all my life and had horrid PMS. Now my cycles are regular and I’m not a horrible person for most of the month. It has given me tons of energy which means I don’t need to drink coffee as much and has massively increased my libido! Win win! I have mine every morning with my smoothie and loved the very very fast postage. A good quality product at a reasonable price supported by an excellent delivery service. Great product at a good price with an excellent delivery service. Ordered my Maca late yesterday afternoon and it was on my doorstep this afternoon when I returned from work. Unbelievably quick service – thank you! Yep! Not only does this stuff work really well, it tastes really good. How rare is that with stuff that’s actually good for you? I’m nearly 54 years old and have just started a small courier business…so suddenly I’m doing a lot more physical stuff (e.g. local courier work, moving furniture & driving long distances). I’ve been using this in combination with ‘I AM WARRIOR’ and I’m well pleased with my energy levels and stamina. Well worth using. And the Maca Root makes the ‘I AM WARRIOR’ a lot easier on the taste-buds. Great product and particularly great website and purchase process. Overall, very impressive. Texture of powder is fine and consistent. The way it makes you feel reinforces the assumption of quality that’s easy to make after first laying eyes on it. Will be back for more undoubtedly! I have yet to feel the benefit. Macca Powder tastes good and it arrived very promptly. Thank you. I recently order a number of products and they were of excellent quality and received this order within 5 days despite living in remote WA I would recommend any product that is offered. Have used another Maca brand for sometime now I thought it made sense to swap over to this brand. So far the quality and service have been unparalleled Telling all my friends to get onto this site I love it..! I have so many food allergies, trying to find something that agrees with me is a real trial. My Naturopath told me of the benefits of this product and I have been using it for some time. I find it tastes great, I have it in a shake of Almond milk and other supplements, it gives me energy and is improving my overall health tremendously. I think this is a fabulous addition to my very impoverished diet! It actually does what it says it will do and I am so grateful that I discovered it. 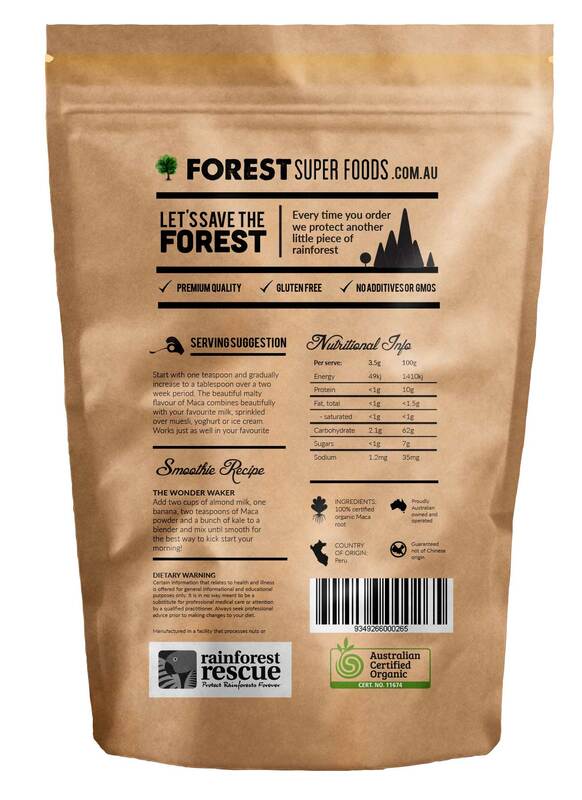 Buying from Forest Super Foods is always of great benefit for me, couldn’t do without the and their fantastic products!! Thanks all!! Awesome product & super fast delivery!!! Such a great product, for an incredibly reasonable price, and delivered the next day. Can’t recommend highly enough! I love the roasted nutty smell of the macca powder, and have it in my daily shake. Great for menopause and energy. It works great for the way it not only gives me energy but it also worked on my menopause of hot flashes. Just plain it works well with menopause altogether. I can sleep the whole night through without having to kick off my blanket. It taste great with my vegetable drink and my fruit drink also. It gives it a nutty taste to it. I’ve already recommended it to my friends in the states. Couldn’t believe it when it arrived the next day after ordering. So far I am very pleased with this product. I am currently recovering from an operation and I can feel my energy coming back with daily taking. Am very pleased the product arrived the day after I ordered it. Delivered in two day of ordering. I have not purchased Maca Powder previously but I’m impressed by its health benefits. Thank you for what looks and tastes like a quality product. I’ve only been taking it for just on two weeks and have not yet noticed an improvement in my health. Delivery was super fast and Forest Super Foods price was the best anywhere. This stuff is amazing. My creativity, motivation and general attitude have all skyrocketed since starting my maca and cacao smoothies. The difference is very noticeable! Purchased maca powder for the first time. Delivery was super quick – got it next day. Very happy! Will order again in the future. Delivery was excellent and with good package and easy to store. Will know after some weeks of usage if it is boosting my health. Great service. Ordered one day, received product the next. The maca is easily added to my yoghourt and my apple juice. Very happy with the product and service. I add it daily to my morning smoothie and it’s been great. I will definitely repurchase. Plus the service was excellent! I received my product in less than 24 hours of ordering. A versatile product that can be added to smoothies, cereal or hot drinks. Great results from regular use and definitely a product I insist on using daily. Forest super foods offers best product at the best price! 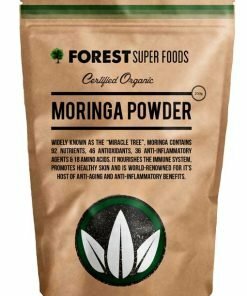 I have tried a few maca powders and this one rates the highest! Arrived very quickly. This maca from the Forest boys is better than the expensive branded stuff I was getting before with faster postage too. Nice one guys! Keep up the Foresteering! Love my Maca Powder I use it every day in my smoothie . It was delivered really fast every time. Great price and so yummy. Love it. I have re-ordered maca powder because since I have this product I noticed that the body energy is increased. I could run faster in the soccer field. I recommended it to my friends and they are also happy with this product. The delivery is very fast. I had products within 1 or 2 business days. Excellent !!! Mixes well without being overly/overpoweringly nutty in flavour. I mix mine with Organic Raw Cacao and protein for a pre or post workout shake. This is the second purchase for Maca Powder. It’s great product and moreover SUPER FAST delivery. compliment my morning protein shake, everything taken with beetroot juice. Since I have been adding the Organic Maca Powder to my mornings fresh vegetable and fruit juice, I have noticed more clarity doing my job as a Ward Clerk. I also feel my memory has improved. Thank you for a great product. Love this product. I add it to our green smoothies and our cacao smoothies which gives it a lovely malty taste! My children are happy with the flavour and even ask for it. I have enjoyed adding this to my breakfast routine! Great product for morning smoothie! Maca Powder makes the perfect addition to my smoothie and it’s so good for you. 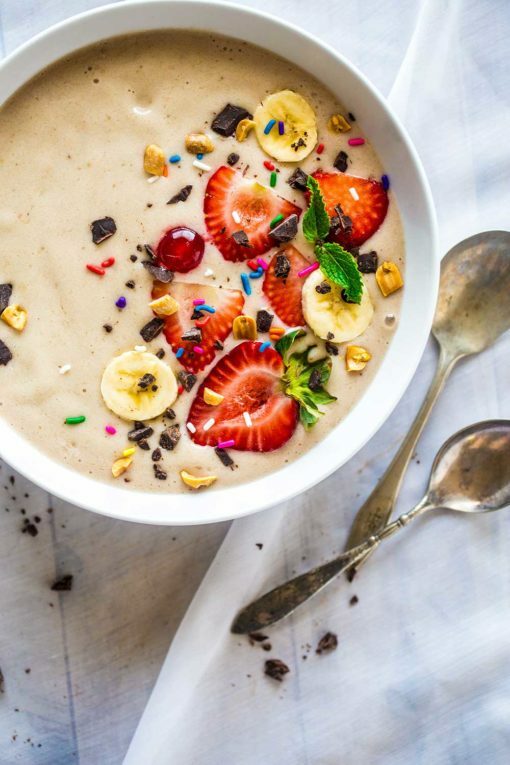 Pair it with spirulina, cacao, chia seeds and so many other great superfoods for a super morning smoothie. It’s very beneficial so far! Beautiful packaging that keeps the product fresh and amazingly fast shipping. Exactly what I expected. Thank you.. I found the product was great overall. It smells yummy ! The packaging was appealing and I was very impressed with the tree donation. Extremely quick delivery, nice packaging and great product. It has been a pleasure to order from forest super foods. 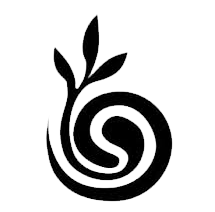 The order been processed so quickly and I the delivery within 3 days that was just so good.i am entirely satisfied with the product and the service front forest superfood . My wife and I changed our view on food a year ago which changed our lifestyle. We now mostly eat vegtables, fruit, legumes and grains with limited meat, perhaps 1-2 times a week. 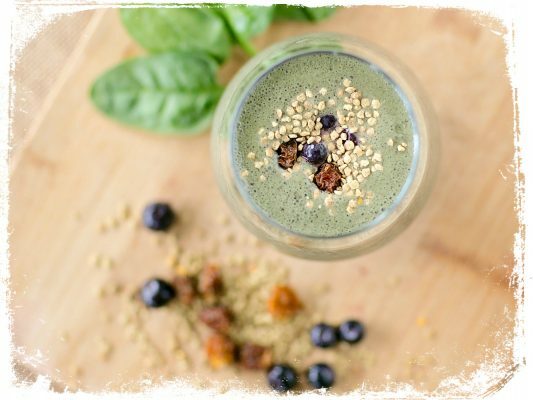 We will have a green morning and afternoon smoothie with leafy greens, veg, fruit and supplements such as Maca Powder, the added Maca gives heaps of energy before my morning training session and through the day. since changing our lifestyle we have become fitter and slimmer with sustained energy through the day. I have not had a cold which I would have 1 or 2 of normally and my sinus problems have disappeared along with 40 years of headaches that came from it. I add Maca to my daily protein & fruit smoothie, can’t do without it. Finding I can now purchase online and in larger quantities is wonderful. Made all the better with the quality of product received. Thank you! 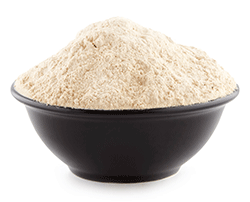 Maca powder is of excellent quality. Excellent service and great price!!! I recently bought some Maca powder, and it was of the usual standard quality i am used to, but it was slightly cheaper. I will be back for more. Not sure. I got on to Maca, from Teresa Cutter, the Healthy Chef, so I’m biased. I do what she suggests. that means everything. As for me since I have embraced Whole Food vegetable/fruit in juices and Smoothies, I have lost 21kg, from 125kg over the last 3 months. How do I feel, great, full of energy. After poor mobility due to hip replacement surgery, plus heart, reflux, diabetes, and blood pressure tablets, which I no longer need to take. You take for granted health, and You know when you lose it, so I’m back. get of the ground easily, go up hills without tiring or breathing heavily, ablutions, better still no Muffin Tops. I look good, as I’m told often. So you see I use everything, Ginger, Turmeric, Maca, Cocao, Parsley, Mint, Cinnamon, Lemon, and WPI, so I’m pretty sure Maca works in some way. Shipping was within a week. 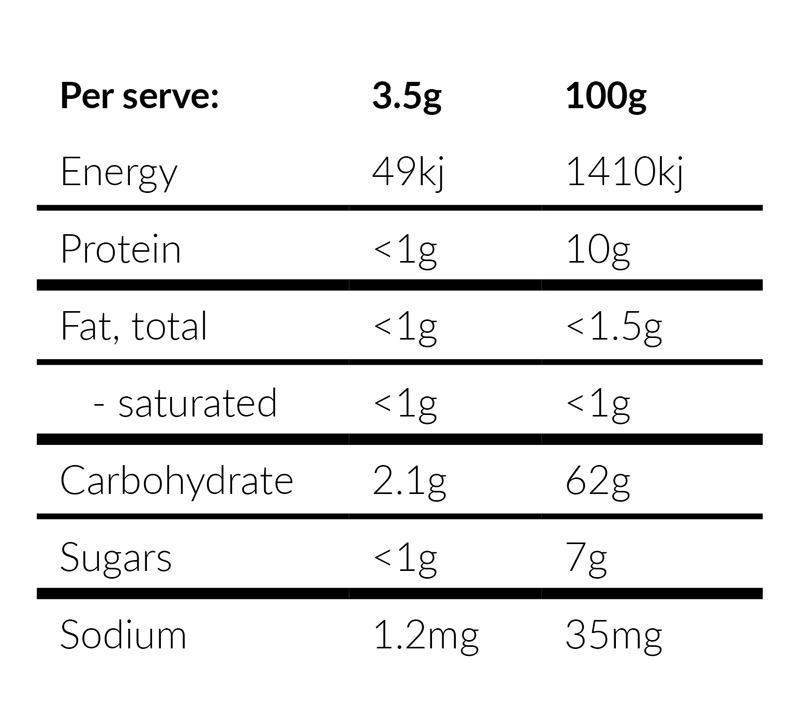 Packaging was excellent and easy to read nutritional info. Great in smoothies. With only a couple of days using in smoothies I already feel I have more energy. Will be buying more from forestsuperfoods. Maca is my favorite of all superfoods. It is great in smoothies, biscuits, anything really. I really enjoy the flavour a teaspoon of Maca adds to my greek yoghurt, super yummy & instant energy boost. It also keeps my hormnes in check with reality! The Organic Maca Powder from cheapsuperfoods.com is my favourite brand for quality & price. Love it! I have ordered many different superfoods to try. I found Maca was one of the easiest to add to my foods as it is a mild flavour – for some reason it reminds me of malt powder. I like to add it to yoghurt, smoothies, mix it in with cottage cheese…. I must say the service is great and I didn’t have to wait too long to start my reboot thank you.